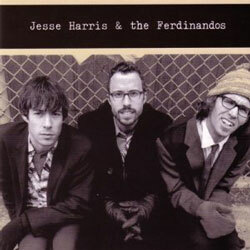 Produced by Sim Cain and Jesse Harris and the Ferdinandos. Photo by Gillian Segal. Than to leave this all behind? Waiting for something, what’s the use? For a reason, but who can say? If the season lets you down, will you call it fate? You’ve found a place you’ll always heal? Won’t you have to move again? Won’t you have to move?